Lock in a great price for Los Calafates B&B – rated 9.1 by recent guests! Hernán and his family were amazing, kind, thoughtful, and happy to go the extra mile to help us out. Los Calafates B&B is about a 10 minute walk up the hill from the bus station, but that means it’s in a quieter area. We would 100% recommend Los Calafates B&B! Clean, quiet, spacious, nice bathroom, friendly and helpful owner, and yummy breakfast. Good wifi too. We really enjoyed our stay here. Extremely nice host who speaks English very well. Short walk (uphill) from the main street. Clean and modern bathroom. Terrific location and helpful owners. Accommodated an early departure with breakfast and securing a taxi! Everything! The place is awesome and the staff is even better! The host was absolutely amazing and helpful, very close walking distance to town :) great place to stay!! Hernan and the his family were great people to be around. I greatly appreciated all their help! It was clean, good breakfast (coffee, eggs and bread) decent but small shared kitchen. The host was perfect. Ada who runs the place is a very welcoming and helping women . She makes sure that her guest are well. The room is very nice and clean. The bed is comfortable and the wifi works very well. You can use the kitchen if you need to prepare sandwiches for the parc. I would definitly come back here if I come back to Ushuaia. One of our best sellers in Ushuaia! 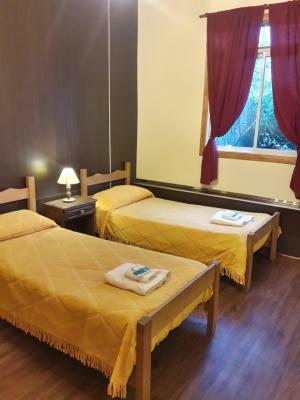 Set in a charming wooden house 1,300 feet from Ushuaia’s tourist information office, Los Calafates B&B offers rooms with free Wi-Fi. Breakfast is provided and common kitchen facilities are featured. Decorated with gabled wooden roofs, rooms at Los Calafates B&B have large windows offering city views. All of them have private bathrooms and can be fitted with cable TV. Excursions to the National Park, which is 7.5 mi away, can be booked at the tour desk. 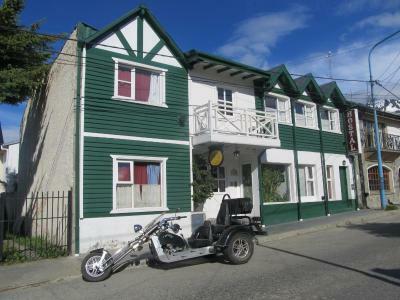 Los Calafates B&B is 1.9 mi from Ushuaia’s Airport. 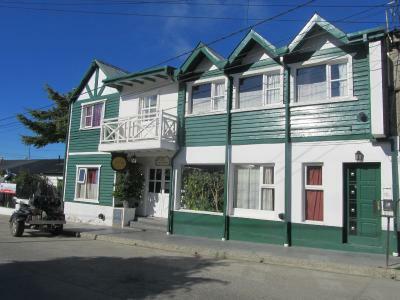 뀐 Located in the top-rated area in Ushuaia, this property has an excellent location score of 9.0! When would you like to stay at Los Calafates B&B? Features private bathroom and city views. It can be fitted with cable TV upon request. Features private bathroom and cable TV. This quadruple room features a kitchenware, patio and kitchenette. House Rules Los Calafates B&B takes special requests – add in the next step! All children or adults are charged USD 24.39 per person per night for extra beds. Los Calafates B&amp;B accepts these cards and reserves the right to temporarily hold an amount prior to arrival. Los Calafates B&B accepts these cards and reserves the right to temporarily hold an amount prior to arrival. The property has no 24-hour front-desk, so the property requires prior notice of arrival. Please inform Los Calafates B&B of your expected arrival time in advance. You can use the Special Requests box when booking, or contact the property directly using the contact details in your confirmation. We had a room with a double bed and a twin bed and the twin bed was OK but not super comfortable. Also, the twin bed didn’t have a table or lamp next to it but the double bed had a table and lamp on each side, so I was able to move them over to be next to the twin bed and it worked out 100% fine. These were very minor issues, and this place is great. We loved it! We would definitely stay here again! Thank you Hernán and family!! Good and quiet location, 10min walk to the center and harbor. The owner is very friendly and try’s to help you with all your questions. Delicious breakfast with fruit salad, eggs etc.. Great place, thanks very much for the pleasant stay. Everything perfect, clean and great breakfast! Excellent value for money! Met cool people as well. The owners are super friendly. Totally recommending it! Very thin walls, lots of barking dogs at night, shower curtain stuck to me while showering, outside of breakfast, could not find b&b staff/owners. The breakfast in the morning was absolutely delicious - fresh fruit, scrambled eggs, good selection of pastries. The host was super helpful too, and even phoned an airline company for us when we messed up a booking. 10/10, would definitely recommend. There was nothing we didn't like about this place. It was wonderful. Hernan the host was great. Very friendly and very helpful. 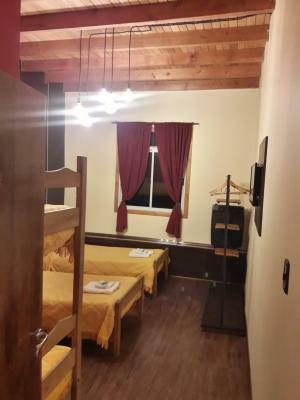 This might be an Argentinian hostel standard... but it affected my sleep comfort a lot so I have to state it: My room had almost zero noise proofing, and all the conversations and other noises from the lobby were clearly heard in the room. This could be improved a bit with a higher quality door! Before that, bring your earplugs. Ada and Hernan were very nice and helpful. When the tour agency did not show up at the planned time, he called the agency for us and the driver came soon. He also helped us in reservation of taxis. Ada is a very cheerful lady who prepared breakfast for us.